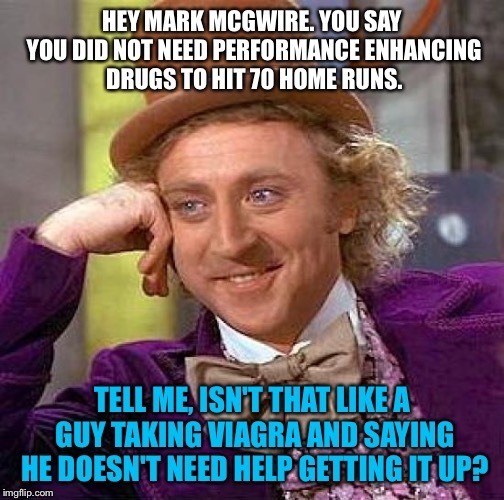 HEY MARK MCGWIRE. 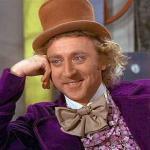 YOU SAY YOU DID NOT NEED PERFORMANCE ENHANCING DRUGS TO HIT 70 HOME RUNS. TELL ME, ISN'T THAT LIKE A GUY TAKING VIAGRA AND SAYING HE DOESN'T NEED HELP GETTING IT UP?